Bubbles That’s right, dogs and cats love bubbles as much as the kids do. They get to run, chase, jump and catch. So. Much. Fun. Just be sure to use a pet-safe formula—even though the ones for kids are non-toxic, they can upset pets’ tummies. There are several available, including bacon-flavored for dogs and catnip ones for cats. Just search “pet-safe bubbles” online or ask your local pet store. Fetch Cats can learn to play fetch too! It may just take a little more training than it does with a dog. Toss a small cat-nip filled toy across the room and watch Princess capture it. Encourage her to bring it back to you, and be sure to offer a treat and lots of praise every time she does. You can do this with dogs too (they’re not all natural retrievers, after all). Use a toy they really like (it may take some experimenting), then always use that one for fetch. Hide-and-Seek For cats, your kids can play a simplified version: Simply have them hide behind a desk, sofa, or chair. They may want to pop a head out quickly to get kitty’s attention. When they “disappear” again, Kitty’s interest will be piqued, she’ll come to find them. Remember to give her a treat! For dogs, it helps to tag-team. Have one kid hold him in a sitting position. The first time, let him see where the other kid hides (behind the couch or wherever) and then have the child call out “find me.” Give lots of love and a treat when he does. Pretty soon, the kids will be able to hide in different rooms and the dog will have a blast smelling them out! 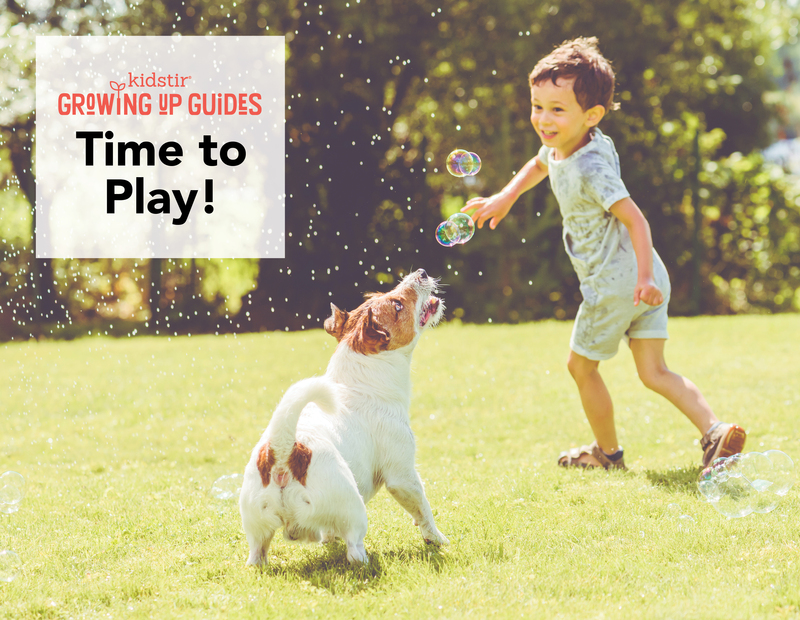 Ready to get your kids more involved in caring for the family pet? Download our free pet responsibility tracker.